To Spin or not to Spin…Red & Turquoise for the win! I spent a good chunk of today sitting on my front porch with Maddy, my spinning wheel. It was a gorgeous day and I wanted to be outside…but I also wanted to spin, so I did both. I forget sometimes how odd spinning seems to those who know nothing about it. 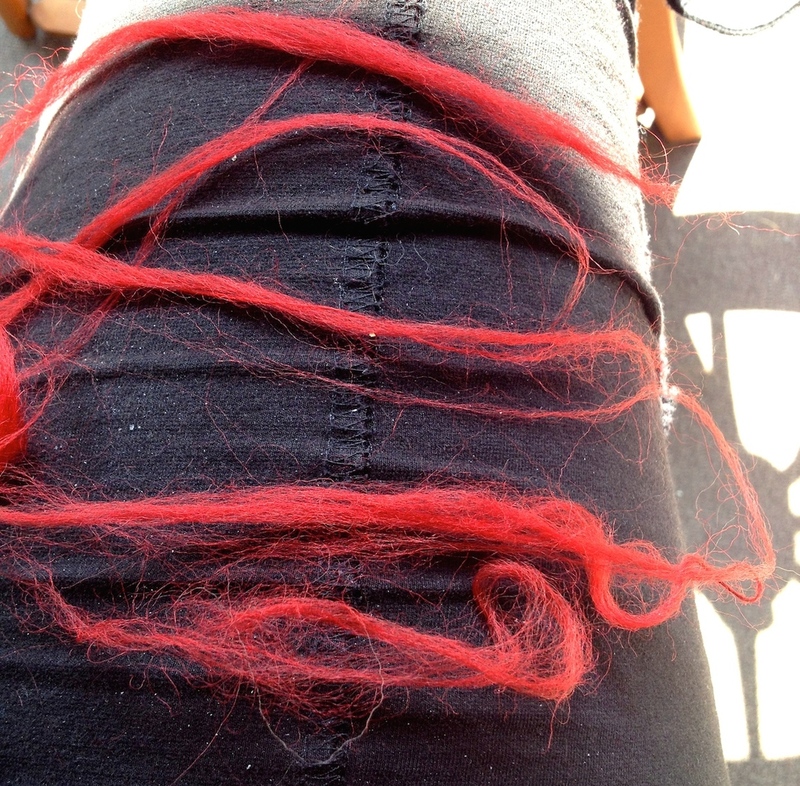 So, I sat on my porch and started working with a heathered red 100% wool roving. A good amount of time was spent fussing with the tension as the darn yarn kept breaking as though I hadn’t spun it enough to give it strength. All the ends that kept breaking…. 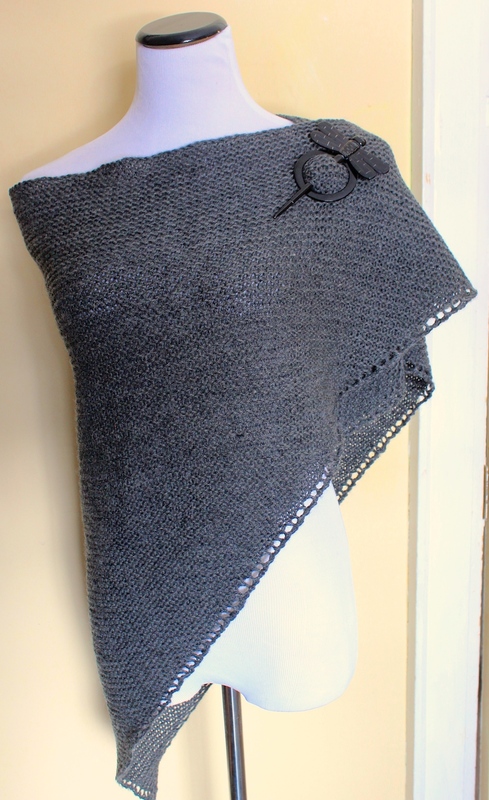 Today I completed my very first knit shawl. It was ordered by a friend back in October and I have to say thank goodness she was so patient with me as it took some time! I had no idea how long a knit shawl would take me and expected that it would be similar to my various crocheted projects. It didn’t help that I chose 5mm circular needles to make it…perhaps larger would have been better for my first large knitting project….but regardless, I washed and blocked it two days ago and today, it is finished! Anyway, back to the purpose of this post. 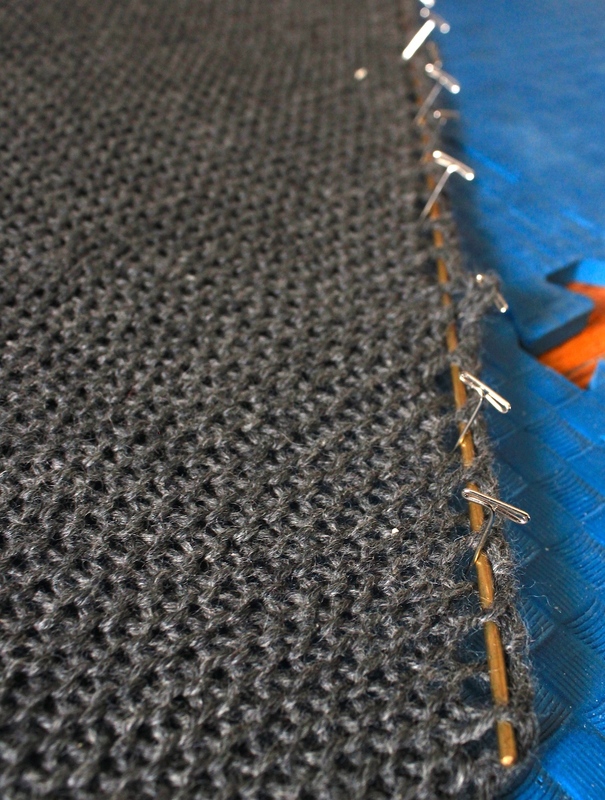 When I blocked this piece, I decided to use these metal rods that I picked up at a hardware store months ago. They are heavier than the rods you use for blocking lace, but for this worsted yarn and open edging, they were perfect! 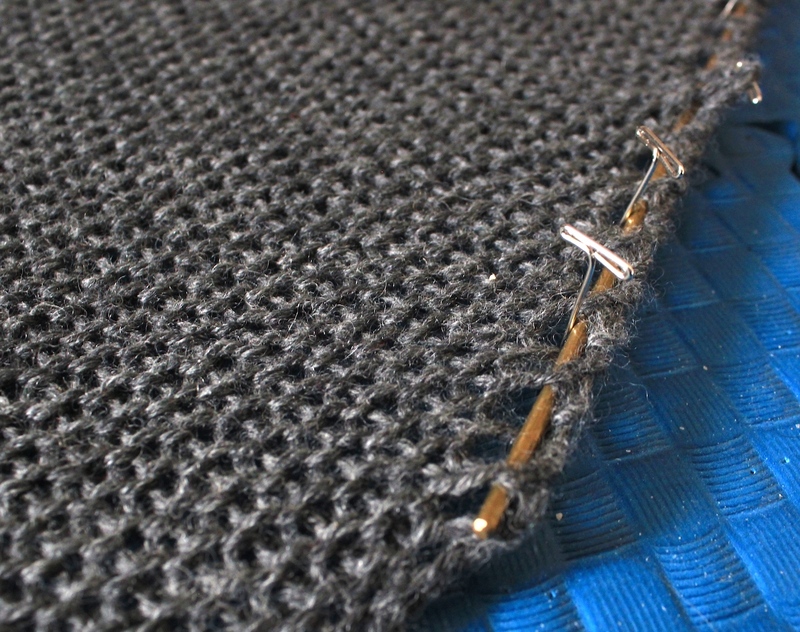 I saved so much time by weaving the rods through the edging and then simply pinning them out with my T-pins. You can find these at any hardware store I believe and only cost me a few bucks. The only downside that I could see was that the edges were somewhat rough, so I had to be careful when weaving them through the stitching. Otherwise, a perfect time saver!